Amazing Pizza, great beer selection and Staff is the best in the world! Couldn't recommend more. We were there for lunch and went back for dinner. I didn’t go to this booking but was unable to cancel. Itried to cancel this booking but the number supplied on the confirmation email did not work. I couldn’t find a phone number on the main website either. Great evening with work colleagues, food was delicious and great atmosphere! Absolutely amazing place and amazing food. My only criticism would be only having 1 ladies toilet. Food is good and fast. Service could improve. It is ideal for group dinners. The speciality lemonades are great. 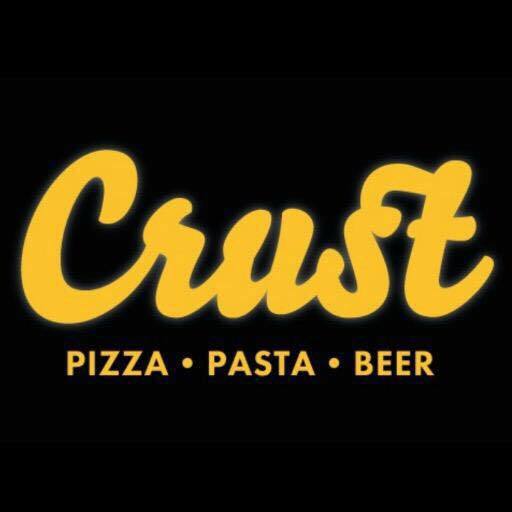 I absolutely love Crust and have visited several times. Crust's commitment to making good food accessible is impressive, every member of staff I have spoken to know what Vegan means, have understood gluten intolerance and have been very helpful. We had a great night and the food was amazing. The service was fantastic, very quick and super friendly. Even though we were quite a large group (15 people), we didn't need to wait long for our orders. We were a large group of people and I have to say the staff and service was fantastic. We didn't have to wait long time to be served or to get drinks. The pizzas tasted great and were of a very decent size for one person. A very good experience overall. I would recommend the place and I will certainly be back.